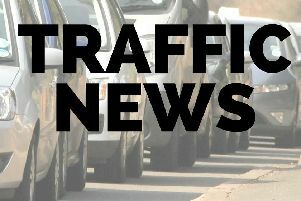 One lane has been closed and traffic has been slowed on the M6 northbound near Rugby and Coventry because of a stalled van. The incident affects the M6 northbound between Junction 2 (Coventry) and Junction 3 for the A444 - Nuneaton, Bedworth and Coventry. Those considering using the M40 as a diversion are also warned that traffic on the northbound stretch of that motorway going into Coventry is facing delays following a collision.